Announcing: Cache, the CD from the CEC's young and emerging sound artist project. Cache is the CD component of the much larger project for young and emerging sound artists in Canada, created in 1999 by the CEC. - continuous promotion and access to the works via the CEC's web site - and Cache. The competition received 37 submissions. Cache 2000 presents the 14 top scoring composers. The CEC wishes to thank the many people who donated their time, energy, effort and good will to make this project a success. The production of this CD was made possible with financial assistance from The SOCAN Foundation and CEC membership dues. 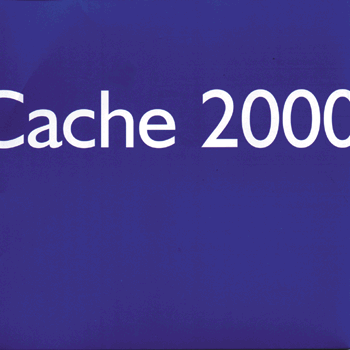 Cache 2000 was produced at the Concordia University Music Department. eContact! was funded in part by a grant from the publishing section of the Canada Council. Cache is available for free from the CEC with every CEC membership.